I didn’t initially set out to make this a sound rich piece. Actually, it was quite the opposite. I wanted to produce a piece that was deceptively simple: a well-crafted, personal narrative that was quiet by design. Why? Probably because I’m uneasy with silence and wanted to tackle it head on. What better way to do it, right? There’s no radio without some radio therapy involved. Enter retired Lt. Col. Mike McGee (and his voice). I found Mike through his aviation art website and he agreed to talk to me (and take me to see a real F-15 fighter jet… I also walked around on top of it with glee). When Mike first told me the story that makes up the second part of my piece, I instantly saw the movie playing in my head and heard the accompanying sounds (e.g. the count down, the explosions, the drums, etc). That’s when I knew this is what I wanted to tell. But there was a problem. It’s almost impossible to produce a story about war without getting into the morality of war. I didn’t want to get into it, though, and neither did Mike. But without it, all I had was a generic war story. After some agonizing hours and days trying to figure out what my “reflection” moment was going to be, I just chucked it all out. I was going to try something different. I was going to bring the listener into a fighter pilot’s cockpit or die trying. Just kidding… but really. Okay, but honestly I really didn’t think I would end up producing a piece that was so… honestly difficult. I’m so glad I did. I spent a lot of time interviewing Mike because going into the interview, I didn’t yet know what story of his I was going to tell. One of the things he told me about was training at Otis Air National Guard Base and sometimes being able to do a vertical takeoff, something you can’t really do in combat. The way he talked about seeing the Cape fall away was just so special, kind of a Superman point of view. 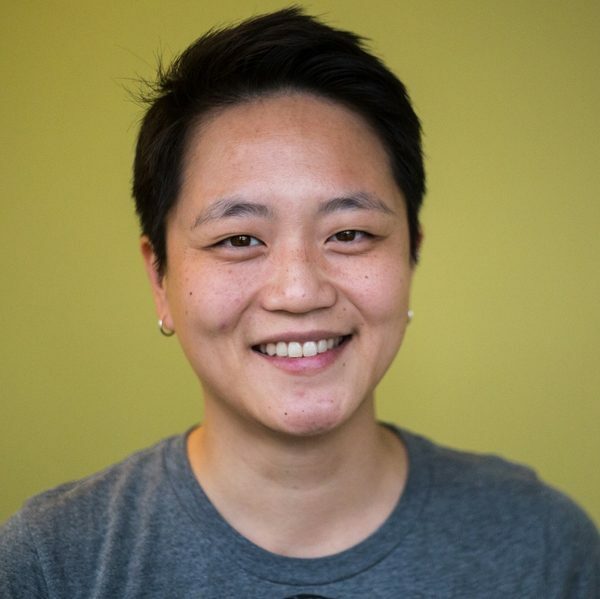 Kathy Tu is the co-host and co-managing editor of a Nancy. Kathy is based in Los Angeles, but frequently in New York for the show (and the friendship). Prior to Nancy, she worked on Radiolab, The Memory Palace, The Mortified Podcast, Masterpiece Studio, and others. She is a graduate of the Transom Story Workshop. Kathy has a healthy obsession with backpacks, web design, and running (even though she hates it).